This is the best article-length critique of the Supreme Court’s Obergefell v. Hodges decision I have read. Marriage and the Constitution: What the Court Said and Why It Got It Wrong. 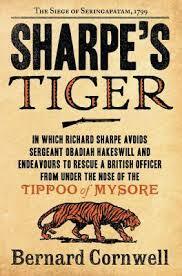 Midway through reading Sharpe’s Tiger, the first volume (chronologically) in Bernard Cornwell’s Richard Sharpe series, I hurriedly ordered the second volume for two-day delivery from Amazon. I am a series reader, and this clearly is a series to be read. 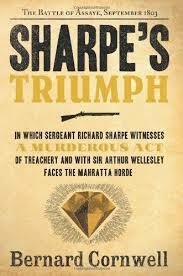 It follows the exploits of Richard Sharpe, a soldier in the British Army, during the era of the Napoleonic Wars. Cornwell doesn’t paper over the greedy motives and savage conduct of the British or other Europeans as they fought for control of the Indian subcontinent. He doesn’t valorize their enemies either, however. What he does is present the conflict from a British soldier’s point of view, showing his courage under fire. But Cornwell’s description of the British assault at Assaye, in which the 78th calmly marched in formation under enemy fire, took a beating, but still went on to crush the Mahratta right flank, is even more astounding. Sometime after his victory at Waterloo, the Duke of Wellington was asked which was his finest battle. He answered: “Assaye.” When you read this book—which is, remember, a work of historical fiction—you’ll nonetheless understand why. To be honest, I don’t remember how I learned about Sue Grafton’s series of Kinsey Millhone mysteries or when I first read them. I do know this, however: I’ve read them all and loved every one. I typically start and finish a novel within a 24-hour period. For me, any mystery that keeps me turning pages is a good mystery. By that standard, the latest installment in Grafton’s long-running series is a good mystery. As Kinsey investigates the first murder—and gets drawn into the investigation of the second—she befriends the homeless, antagonizes the wealthy, makes frenemies of newfound family members, interacts with old flames, and even takes a shine to her neighbor Henry’s new cat, Ed. If you’ve read the other books in Grafton’s series, you’ll appreciate the evolution of her character. If not, you’ll enjoy the mystery as it slowly unfolds. One recommendation, though: If you’ve never read any of the other books in this series, do yourself a favor and start with A Is for Alibi. 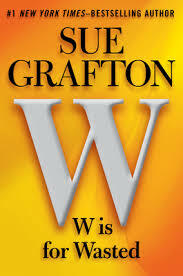 If you like that one, work your way up to W Is for Wasted in alphabetical order. Each book stands on its own, of course, but the real payoff is to read the series. Christianophobia can be defined as “an irrational animosity towards or hatred of Christians, or Christianity in general.” Rupert Shortt used the term to describe the persecution of Christians around the world. In his new book, George Yancey uses it to describe animus against Christians in the United States. Yancey is professor of sociology at the University of North Texas. In Hostile Environment, he draws on research about Christianophobia published in So Many Christians, So Few Lions: Is There Christianophobia in America, a book he coauthored with David A. Williamson. Using a quantitative approach that measured affection for religious groups, Yancey and Williams determined that only atheists were disliked more than conservative Christians. Using a qualitative approach, they asked “cultural progressive activists” to describe their feelings about conservative Christians, which were typically negative. But even this concession does not explain the totality of Christianophobia. Yancey notes that many Christianophobes derive their impression of conservative Christians not from personal relationships with them but from media reports about them. “Have never personally met a member of the Christian Right,” one survey respondent wrote. “All my exposure to them and their beliefs has come from television, newspapers, magazines and the Internet. All my exposure to the Christian Right through the media only served to reinforce my negative views of them.” If you dislike a person’s politics and view media that reinforces that dislike, your dislike is based on an echo chamber rather than reality. 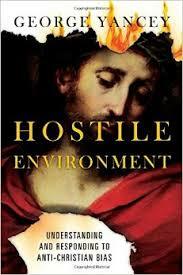 Yancey concludes his book with suggestions about how to deal with Christianophobes. “As Christians, we have to confront sins against our fellow brothers and sisters as aggressively as we confront sins against non-Christians,” he writes. “But we have to do so in a way that does not dehumanize even those seeking to silence Christians.” This means loving our enemies, as Jesus taught us to do (Matt. 5:44). “If we get the opportunity, we must act in ways that benefit them, whether by providing resources, advice on issues they will listen to us on, or time and attention, or by any other way we might serve them.” Such service may secure good will toward Christians, but whether it does or not, it is the right thing to do. Do some Americans hold an irrational animosity toward Christians? Yes. Based on Yancey’s research, Christianophobia cannot be denied. Yet neither should it be exaggerated. American Christians are not persecuted, as they are in other countries. Nor is their experience of hatred as extreme or consequential as the racism directed toward African Americans. Even so, it exists. Where Christians have given others cause to hate them, they should repent. Where they experience undeserved animus, they should speak the truth in love. And in all things, they should follow the Golden Rule, treating others as they wish others to treat them (Matt. 7:17). 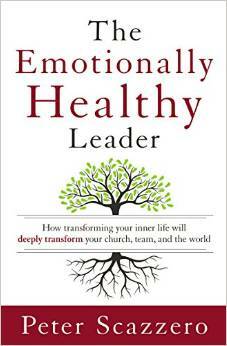 I reviewed Shortt’s book here.